At least 1,295 Nigerians returned from Libya in November, jettisoning the dream of getting to Europe through the Mediterranean Sea. A large number of Nigerians on the 50-50 journey to Europe seem to have ended up in Libya than in Morocco. 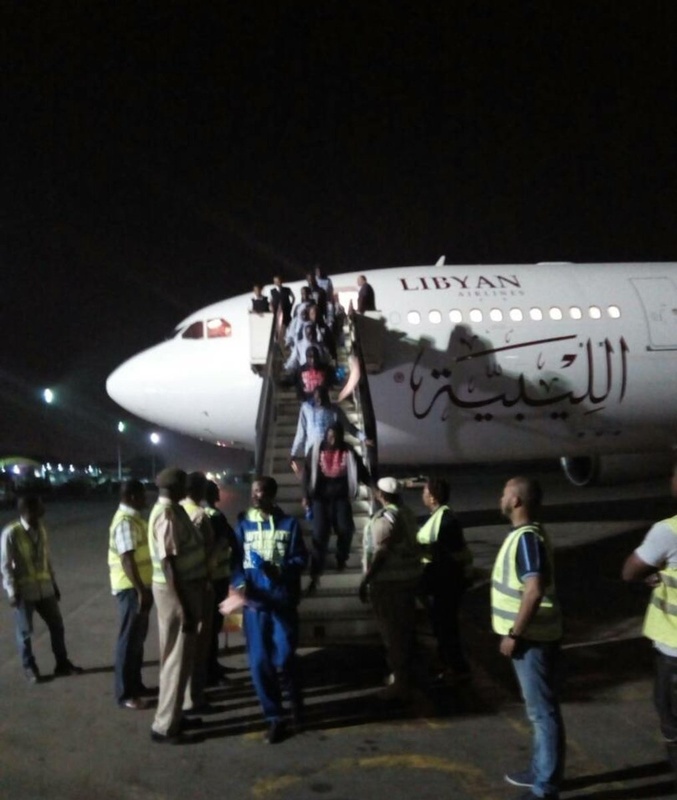 More and more Nigerians are voluntarily returning home from Libya amidst the slave trade issues. In November alone, 1,295 Nigerians stranded in the north African nation returned home. The National Emergency Management Agency (NEMA) gave the figure on Thursday while receiving a fresh batch of 150 Nigerians from Libya. It said Nigerians returned in various batches between November 6 and November 30, with the assistance of the International Organisation for Migration (IOM) and the European Union (EU). The Director General of NEMA, Mr Mustapha Maihajja, received the returnees at the Murtala Muhammed International Airport in Lagos. The returnees were brought back aboard a Boeing 737-800 aircraft with Registration Number: 6A-DMG, the News Agency of Nigeria reports. The aircraft landed at the Cargo Wing of the Murtala Muhammed International Airport at about 9.15 p.m. Among the returnees were 13 female adults and one teenage girl while the male were 133 adults, two teenage boys and one baby boy. They were received on behalf of Maihajja by the South West Zonal coordinator of NEMA, Mr Suleiman Yakubu. Also at the airport to welcome the returnees back home were officials of the Nigerian Immigration Service, the National Agency for the Prohibition of Trafficking in Persons, the Federal Airports Authority of Nigeria and the Police.